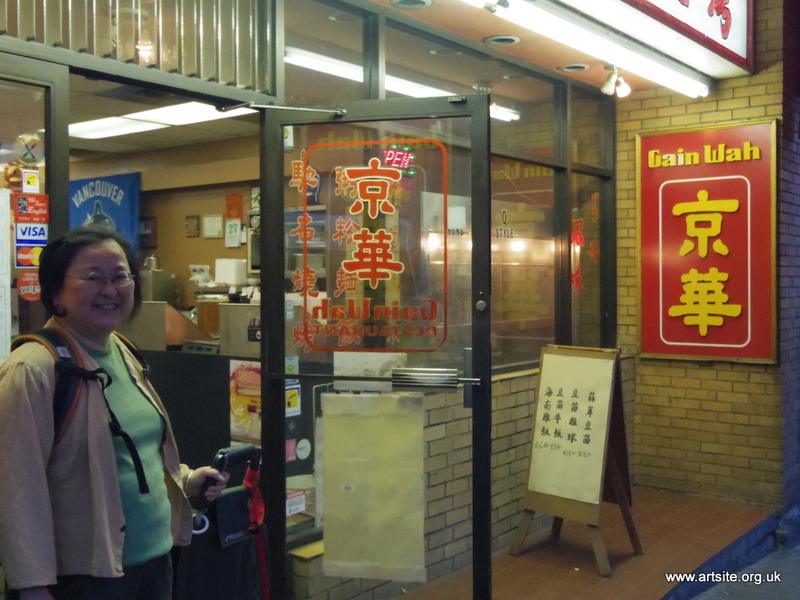 Here’s a shot of one of my favourite restaurants in Vancouver, the Gain Wah. 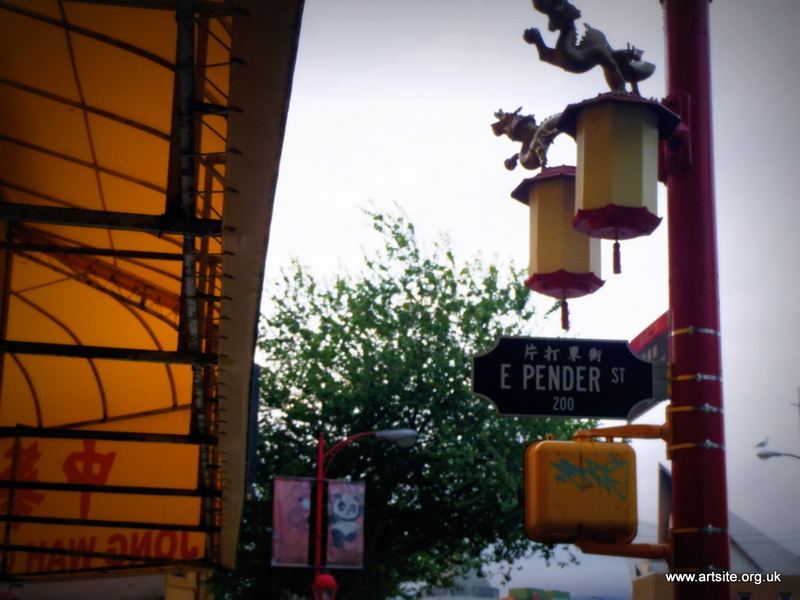 It’s on Keefer Street in the part of Chinatown that still looks and feels the same as ever. The food here is delicious and homey, the atmosphere is a traditional Chinatown diner: friendly, unpretentious and comforting in its lack of trendiness. (and that there is my friend, the artist Vanessa Lowe, who accompanied me on my last visit). above, a building on Gore Ave.
Chinatown was always one of my favourite parts of my home town. Initially, as a suburban kid, the folks would take up there once a month or so to eat Chinese food (so exotic!) and buy toys. When I got older and went to town by myself I loved the curious architecture, the tasty inexpensive food and the essential, refreshing “differentness” of the place. Later still, Chinatown was on the edge of the urban underground scene of gigs and parties and late night joints where all kinds of mayhem could go down. 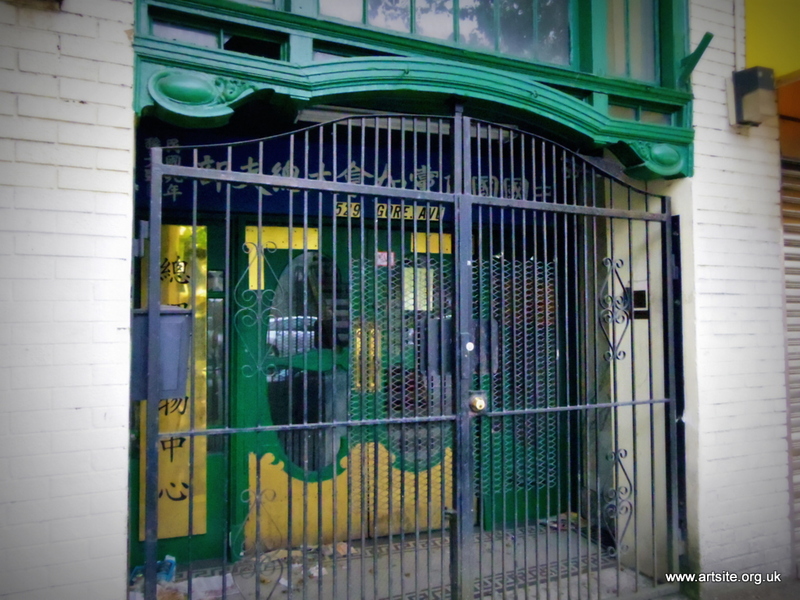 Now, well traveled and somewhat worldweary, I feel less Chinatown’s “differentness,” and more its familiarity: the old buildings juxtaposed with new, the mix of people and cultures – it’s inextricably Chinese AND Canadian both – the traces of history, the beauty. It’s funny, since I was a kid the image I’ve always had of Chinese Vancouver is of very hardworking, determined people fiercely fighting to retain their culture while contributing hugely to, and being an integral part of, what makes British Columbia so unique. I’ve had no reason to change that view, though for sure I get the impression – mainly from the press — that more recently the Chinese community is viewed as a route into the all-important ‘China Market’, that famed El Dorado that has been a promise since the days of Marco Polo. If so, I can’t help but feel that is unfair. 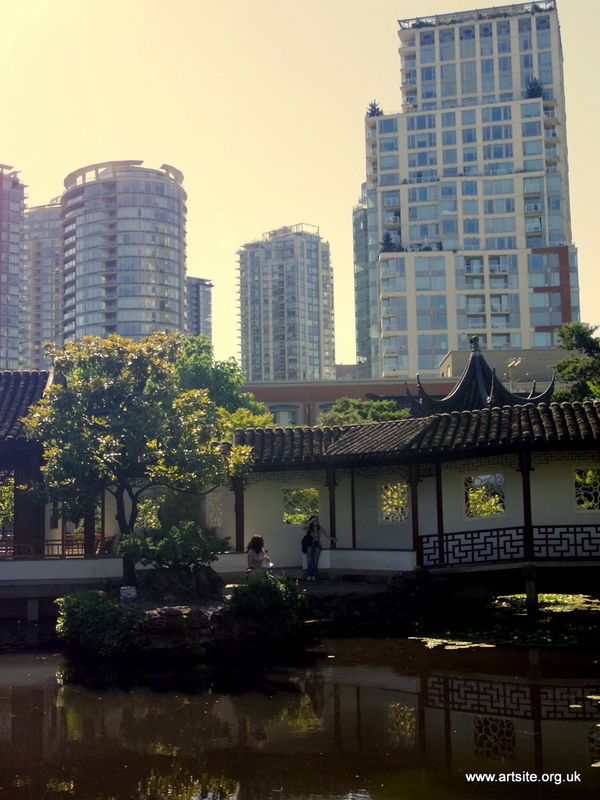 Chinese Vancouver – and by this I don’t just mean Chinatown but the whole Asian element of the city – is part of what makes the city what it is, and it’s there for everyone to enjoy, and to respect.